The owner of this newly purchased residential property approached us with a brief to redesign the interior layout, making better use of the large, south-facing garden and incorporating it into everyday life. Our challenge was to redesign the ground floor layout, creating a flow between the extended open-plan area, new loft space and the property’s existing features. Using Permitted Development Rights, we designed a rear ground floor extension and a large loft extension. 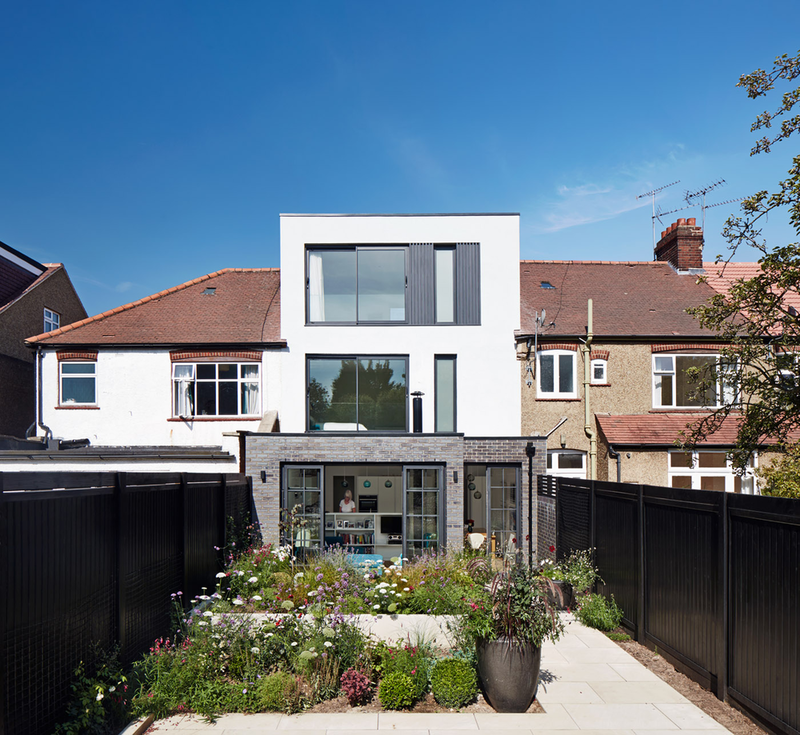 New, full-height windows brought in natural light for a sense of space in the upper floors, while a ground floor extension made room for an open-plan kitchen with a full view of the garden. We developed a separate design with a distinct feel for spaces used by guests and private ones. For guest spaces we went for a club-like style with dark colors and sparkling finishes. We designed the garden-facing areas in light colours with a few bold accents. We chose a neutral, yet modern composition for the upper floors using light, warm colours, natural materials and soft fabrics. A sense of tranquility and relaxation in the master bedroom was achieved with a large sliding windows—allowing for the day to begin and end with a beautiful view of the garden. We hate spam and keep your data safe.